Attention: Dispersed camping in the “Gothic Corridor” will not be allowed from June 15 to August 15 from Summer 2016 on, per the US Forest Service. The Gothic Corridor extends from the Snodgrass Trailhead to Schofield Pass and from the Wilderness Boundary to the East and Paradise Divide to the West. The developed Gothic Campground will still be open, but it only has 4 sites and does not take reservations. For a map of the closure click here. Camping during the summer is as much a culture here as costumes are at every party. Even the locals trade their houses for a tent or a camper and escape into the forest for sunshine and wildflowers every chance they get. 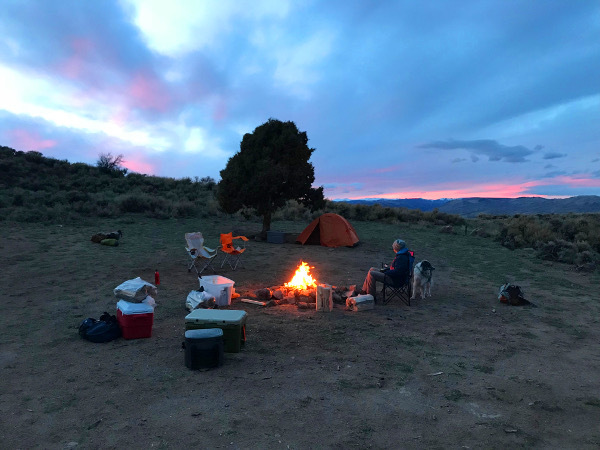 With thousands of acres of dispersed camping, and around 30 developed campgrounds on Forest Service or Bureau of Land Management land there is plenty of room for everyone to spread out; or make a new set of friends. While developed campgrounds on public land may not always offer electricity or water hookups they do typically have bathrooms, potable water, and picnic tables. Several private campgrounds in the area do have electric hookups and a couple even have private water fishing rights. 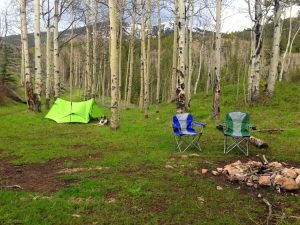 Taylor Canyon has the largest concentration of developed campgrounds in the valley, but both Gunnison and Crested Butte have nearby options as well. Dispersed camp sites are a different ballgame altogether. Drive up almost any forest service road in the area and you will find people and campsites down little side roads. Some are hidden and tucked away, some are in large meadows of wildflowers, and some take a little clearance and good luck to get into. Except for Gothic/Schofield Pass Rd. (FSR 317) and Taylor Canyon Rd. (CR 742) every other drainage offers some sort of dispersed camping option. 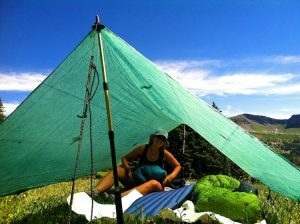 Dispersed camping is a privilege in this valley and deserves a little thought and care before you go charging off the beaten path (see above). Leave No Trace principles are important in order to leave sites in good order for the next visitors. Camp in established campsites. They’re usually a little easier to find since folks build fire rings there. Pack it in and Pack it out. Whatever trash, food scraps, and other waste you have needs to make it to a trashcan. We have bears. They typically aren’t aggressive towards people, but they definitely have a nose for that box of donuts you left in your tent while you went hiking. Keep your food, coolers, and trash in your car. Drive where other people drive. Most established dispersed campsites have a two-track leading in. Most people use it because that’s how you avoid getting stuck. There are no bathrooms. Please learn how to keep the woods clean and always bury your waste a good long ways from camp, water, roads, and trails. Always treat your water. Water near campsites is generally pretty clean, but you never know who or what has been using the bathroom around camp. Boiling, filtering, or chemical treatments are all good options for your water needs.